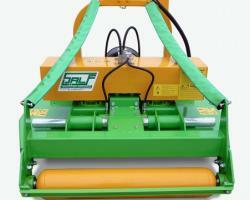 SALF - Rotary Mower "DEV"
"DEV" New generation mower, for tractors from 30 to 100 HP suitable fo vineyards and orchards of different row widths thanks to a variable cutting systems of about 50 cms, with a hydraulic offset. 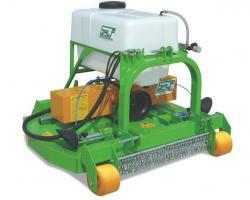 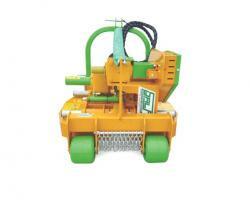 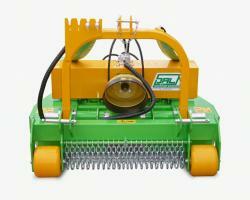 It can work between the trees for mulching and also be used for mowing grass in airports and big areas. 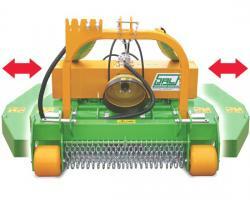 It is produced in five sizes, as showed in the table. 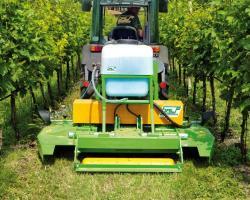 The new model DEV 100-135 has been designed to meet the requests of grass cutting in orchards and vineyards with very limited inter-row working widths, especially in hills and mountains, where the distances between the rows are very narrow. 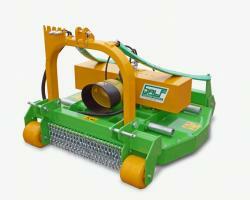 The mower has small dimensions and is really compact, in order to guarantee a minimum size and a good quality of the grass cutting operations. 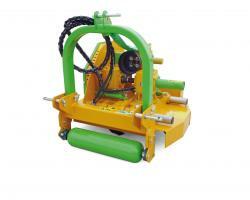 Machine with patent registered.